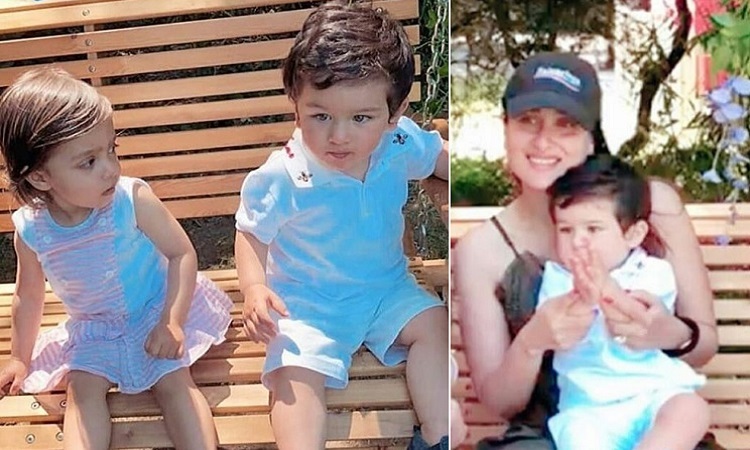 Taimur Ali Khan, the 18-month-old toddler who is already the internet's favourite celebrity kid has been in London with his mother Kareena Kapoor for over a month. Taimur used to make headlines each day back in India and looks like he is enjoying his time in London without the media limelight. However, being a celebrity kid and especially a popular one, you cannot stay away from the media glare for a long time. Today, we got our hands on a viral video that has been surfaced on the internet where baby Tim can be seen getting playful in a park with a friend. This video will for sure be a sigh of relief for all the Taimur Ali Khan admirers as it's been long that they received a glimpse of their favourite little star. The little toddler is definitely enjoying his time in London and has also made a friend in the UK Capital. His friend is VJ Rannvijay Singha's daughter Kainaat Singha. A few days back, the two were snapped playing on the see-saw and having a gala time. About the popularity of son Taimur, dad Saif Ali Khan recently expressed in an interview, "I think the whole country loves Taimur (smiles). He's a great energy to have around you. He has quite a happening social life, too. Right now, he is not even home, he's gone for his evening time out with friends! He's very busy (laughs)". Tell us if you missed Taimur Ali Khan just like most of his fans in the comment section below.